"You can enable any type of workflow"
"Complete solution for electronic signatures." The ability to implement all types of digital signatures, carried out in a simple and fast way, which gives our customers greater satisfaction when they receive one of our documents, a digital signature, can raise the quality of any document, and give it a touch of personality and quality, this application complies with what it promises, is designed for a simple task, create digital signatures and does it in the best way. I do not know it is something complicated, find something that I do not like in an application of this type, since what we use in our company has worked well, sometimes the server may be late in loading when it is signed or developing a document, this would be the only one, that I can find until now, after the time I have used it. The use of this tool can give a benefit to any person or user who wishes to obtain greater protection in all types of digital documents, creating personalized signatures, which will make counterfeiting almost impossible. Our digitally signed documents are in a high percentage exempt from being falsified, since the signatures we use are of high difficulty, and not everyone can try to falsify them, which helps us obtain a better security in all types of files that we use digitally. "A great way to facilitate the signing of paperwork!" There is a lot to like about this product! First and foremost, since implementing this we have found that clients are returning paperwork that required signature MUCH faster than before. We've found that the clients who have been sent paperwork through this product are returning it weeks sooner than those that specifically request hard copies. Setting the signing order has allowed us to have the paperwork automatically routed internally for anything that requires a countersignature from our organization. The change signer option has also proven useful when paperwork needs to go through certain channels with our clients for review. Our compliance department loves the amount of verification associated with signatures. While it is super easy for clients to sign a document, the amount of detail that comes through with the signature is great: time signed, email address associated with signature, IP address, etc. Overall, the ease of use not only for our clients - but for our teams has been great! While there is not much to dislike, our teams would like to be able to load a form fillable PDF for signature. Currently, the fields are lost with the upload and it requires on to go back and add the form fields through the web interface. We implemented this leading up to our busiest time of year and saw immediate results. In our experience, it did not take many resources on our end. Minimal training was required and training was done internally after conversations with our One Span Sign representative. As mentioned in the review, we've had great success in the timely return of paperwork. Another major benefit is the time saved in tracking down signature pages and scanning them in. "Works very smoothly....It has been a great addition to our document workflow"
Being able to server our customer based with a seamless signing process is great. It has also increased efficiency for document workflow eliminating wasted time printing, scanning and archiving documents. Its great to just be able to dump them into the file needed and we are good to go. There is not much to dislike. We compared multiple platforms including docusign and signeasy and OneSpanSign was by far the best. It was about a year ago that we went thru the process of selecting an esign vendor but I recall then eSignLive just having cleaner, smoother more visually appealing website. We are in the process of going as close to 100% digital as we can get. OneSpanLive is the driving force behind this we are beginning to archive documents in a different more efficient way. We spend a lot of time printing, scanning and archiving documents and we are seeing the benefits of eliminating the printing and scanning. We are also making our customers happy as they don't have to take off work or make a special trip into town from the farm to sign loan documents. It has also been great in getting customers to sign single documents that either get mailed and never return or the customer never comes in. With OneSpan all of those documents are getting signed in minutes instead of sometimes weeks or months trying to track down that signature. I like the fact that this product has been designed keeping user convenience in mind. The UI is intuitive and document itself embeds all the audit trails to prove the legality of the signatures. This shows a lot of confidence on the eSignlive's part that they don't want to make it difficult for customers to move to a different platform. Search functionality is limited. It should allow the documents to be searched by their content or at least by the name of the signatory. Further, designing signature workflows is not very straightforward and is a time consuming process. Time is money in today's world and using eSignlive saves us a lot of time and helps us reduce the turnaround times for closing business tremendously. People are able to sign the documents on the go without the requirement of printing,signing and scanning the documents. Also, it makes storing and retrieving documents convenient. "Works great in an insurance setting." The ability to capture signatures offline. Many times our agents don't have Internet access when meeting at a client's location so the ability to capture a signature offline via a mobile device sets it apart. Our account has transaction limits which is fine, but we would prefer that the limits be aggregated rather than per user, or that we can buy more transactions in bulk (e.g. 1000 additional transactions). As it stands now once we've exceeded our limit we're charged per transaction. Gathering signatures for applications, endorsements, supplements, etc. via email, SMS and in-person. OneSpan has helped reduce processing time (phone call to underwriting to issuance) and has helped to reduce our Errors & Omissions exposure. "easy to use digital signing solution"
UI is easy to use and after migration from another provider to eSign, our users were able to start using without any training. Compared to other providers of the same solution, found eSignLive to be more cheaper and provides almost all the functionalities required. Good forums available to discuss and see responses to similar issues or details needed. Provides easy branding options and changes can be made easily. Cannot download all users list for audit purposes. Does not support local time zone and it causes confusion to customers as the date shown does not match since its GMT. This becomes more of an issue if you customize the date formats and do not show dates or timezone. Attachments although can be made required before signing, customers can complete the signing without it. Report generation from UI is also limited. Easy to setup. Good Professional services team. eSignature is a fast way to get the documents signed which are legally acceptable instead of sending a hard copy. We were previously using another eSign provider. Switched to eSign to reduce cost. Very easy to use, and intuitive interface allows smooth operation. Contains several options to customize form while keeping security. The security feature doesn't allow document to be altered after being signed. The day counter seems off, not reliable. Cannot print partial forms if the routing has not completed. Able to go around security by changing format to word document and then saving once again to PDF. We don't necessarily use it for the security. However I thought esign might like to know about a possible exploit. We value the accountability and the ability to connect around campus. If you value this it may be a good option. Inter & Intra business process for gathering signatures and approvals. Rapid connectivity and realized accountability of form process. "eSignLive provides our organization a stable eSignatures enterprise solution"
Using Silanis' eSignLive we have successfully delivered a single platform that supports multiple lines of business across multiple channels. This was accomplished using their eSignLive Enterprise solution. Our organization also has several smaller business groups that enjoy the benefit of the eSignLive Professional cloud solution. What do I like best? Silanis continues to invest in their solutions and partners closely with our organization. They listen to our suggestions for future product features and work closely with us to ensure their enhancements support our needs. We have not encountered a situation that we could not overcome with our close partnership with Silanis. For several other lines of business we have, we delivered a straight through processing in our self serve environment as eSignatures replaced the need for clients to visit a branch to provide their signature. Time liberation for our sales force is also a large benefit for us. "Verfications was never as simple"
Super simple interface, easy steps to follow and the economic pricing for the service are few of the things that comes in mind, But to top it all , i would rate the recognition factor as the highest, all our stakeholders are familiar with Vasco's products as a result we never had to deal with trust issues. During primary implementation we faced some difficulties integrating our API's but i can't comment whether it was due to shortfall of our in house resources, but eventually support team was able to resolve the issues. The pricing for customized integration enterprise plan could be more competitive for business who can't really generate the volume at the beginning. They are constantly improving and adapting to changes , their customer service has been distinguishing and thats the only reason we preferred them over other vendors. A key challenge in the underwriting process of insurance is to get the customers consent. And if the customers agree , getting their digital signature is the next step, with e sign live we have been able to convince the customer that its secure and get things processed faster without any hassle . Our clients love using mobile for signing applications. Everyones loves the concept of going green and being paperless and if you can achieve that saving money and paying a reasonable price then its a win win for everyone. "Developer community at its best"
Product is easy to implement and plug in and play. The turn around time from support team is pretty quick. SME's have good knowledge on product and suggest better options/approaches during the implementation, I say this because our implementation is bit complex and lot of moving parts, we have developed and deployed in no time. Thanks to all technical support team. Creating templates to reuse can be made more easier to maintain. Now there are work around, but would like to be more robust. Be careful of others promising things that seem too good to be true. The electronic capture of customer signatures on contracts as well as the electronic authorization for marketing and TCPA compliance. "I was told E-Sign was used by Nasa and I can see why!" I use e-signing applications a lot. This one is particular is smooth as butter. Easy to use without a huge learning curve. Works every time and that all we care about. I have experienced a few glitches. However, it is not by any means a regular occurrence. We have had issues with signatures showing up in weird places (but that only happened once). The mobile experience is a little touch and go but still works well! I recommend you trying it out and the Demo. Totally worth every penny. Consistently great in my opinion. We have used multipe e-signing applications in the past and still do. With business happening at all time & everywhere we need to send documents constantly. This application is the most reliable and trusted by lots of reputable companies. "You won't start using another e-Signing software if you use E-SignLive once." Document Management, UI on Mobile, Documents Authentication, integrating with other applications. The confidential information sharing was a bit tedious task before. I used to ask my clients to enter some password to read some confidential document(s). With eSignLive it became easier. They just need to provide their signature and the documents will be opened by the trusted person. If I get a chance to recommend to someone about eSignLive I would love to give them an hour demonstration and want to share how eSignLive made my work easier. I have gained much time on Document Management, Document Authentication, Confidential Info sharing, password format building, storage,... more. Mainly the document authentication got improved. Before I was sending the password format in the email and used to spend more time. "Easy and fast way to process forms"
Our process before esignlive relied on faxes or physically mailed forms. Often, we'd have outdated or incorrectly filled out forms and it would take weeks or in some cases months to get the proper forms filled out accurately. With esignlive, we can keep the most up-to-date version of our forms online and send them out for immediate signing. We've been able to process at a much faster rate and improve or workflow. Since we have 5 signers, we are able to brand our page and emails with our company logo and contact information. The esignlive support has been very responsive as well and very helpful. There are a few things I would like to fix, the tabbing between form fields as a signer should go in order, it tends to bounce around a bit. I would also like a few more advanced options like conditionally required fields, like if one is checked, then require x,y,z fields, that type of thing. There is a small learning curve for those who are not used to dealing with online forms and understand required fields, but it usually takes just a phone call to explain the process. It's very easy to use and admin, you can keep track of all of your transactions, archive them, resend invites to those who still haven't filled out their paperwork. We are using this to replace an antiquated way of processing forms and it is catching on quickly. It takes the burden of paperwork out of the hands of several employees who may have older versions on file and makes signing a much easier, quicker and simpler task for them and our customers. We've had forms sent out and signed within the same day, something we would have never been able to achieve without this tool. "Seamless user experience, with exceptional customer support"
Their user interface is incredibly user friendly to new signers getting into the groove of e-signatures. Account management has been by far the simplest I have seen in all of the applications that we use here at my company. Adding members, deleting members, assigning Manager roles, password changes, etc, are all most frequently used and easiest to resolve issues for. My team at my company deals with their support team frequently and we were never left with a bad taste in our mouth. Very approachable team members that I always enjoy working with. Ability to evolve the solution. Our purpose for e-SignLive may be unique to other companies that are using e-SignLive. The developers and team members are always able to flex around new requirements that we need, new reporting that we ask for, and always putting their best foot forward with a solution to our challenges. The only trouble I have encountered while using this application is there being search limitations within User Groups. If you want to simplify operational standards, you will not regret your decision by switching to e-SignLive. Documents are being digitally signed with unprecedented convenience and confidence. As signatures get completed a lot quicker and on time, there is significantly less room for operational process error to occur. With the introduction of e-SignLive, we have seen this positive change in the right direction. e-SignLive have also adapted to new business requirements and were able to tailor the product to our needs. We have been eSignLive's customer for the last 2-3 years. I love eSignLive due to the fact that it is a powerful SaaS electronic signature. It is also very easy to use. I just need to attach a doc and place where the signatures belong to and that's it. In our case, we bought a licence and we could sign contracts right away anywhere on any platform. eSignLive is a secure encrypted solution. I could sleep well at night. We love eSignLive so much that we became eSignLive's System Integrator this year. As an user who doesn't use the enterprise plan, my requirement is quite simple. The only thing that I didn't like was when I attached a Word document, the alignment wasn't properly displayed. However, that issue has been fixed recently and everything works smoothly. I also wonder why they have Classic and New interfaces instead of having just one standard interface. It would be less confusing for users I believe. Managing contracts on papers is time consuming, expensive and risky. I would recommend to go with eSignLive so that you could be more productive in what you are good at. We don't have to print, sign, scan and email contracts like before. Everything is done online. It saved us a lot of time. It is easy to manage our online contracts. "Easy to use, makes my job easier!" I love that I can send documents in a matter of seconds! Not only easy to use, but keeps track of who you have sent documents to, along with archiving them so you can always go back to one if needed. The dashboard is also clear and easy to navigate. Its been reported that the emails may go to junk or spam boxes, which isn't too much of a big deal, just need to alert our customers. Would love to see a "read" or "received" function in the future so we know that it has been received. Signing up customers to use our services, especially if they need the services the day of. This has been incredibly helpful, as well as saving time in general on a daily basis. "an easy-to-use necessary tool for our scalability! " The interface is very sleek and I especially like the flag images that indicate where a signature is required. The documents look official to the end user and are easy to put together for the administrator. We have a great customer success representative and help desk has been fantastic and responsive the few times we have needed to call on their services. I have some nitpicking to do about the UX when preparing packages: creating signing conventions can be a time-consuming process and text fields are not as clearly marked as other types of signature fields. The Visualforce elements can also be slow to load. These are only relevant to users that would be primarily interfacing with eSignLive within the Salesforce environment. We are a community micro lender based in Providence, Rhode Island and have expanded to Delaware and Florida within this past calendar year. We required a way to do remote loan closings, including the signing of loan closing documents. eSignLive has been the keystone of our workflow; clients have happily reported signing their documents from a lounge chair on the beach! Initially, the interaction with folks at Silanis was challenging. Then Sean Penning was assigned to work with my company and that changed the dynamics 180 degrees. I was and still am impressed with his high professionalism and focus on customer's satisfaction. As for the product, it's customizable. We are exploring the use of the API provided to meet business requirements. Customization requires significant software development. - Inability for a signer to have multiple signature requirements where a signer can sign before other signers and then sign after the other signers for final approval. I would hope to see additional controls for building fields inside documents, and allow administrators to set numeric fields vs. alpha numeric fields. Provide alternative method to wet-ink signature for capturing intent. Ensuring no signatures are missed. This product has everything we needed and it was easy to integrate with. All required features were covered. There are couple integration options from SDK to REST API (which we used). The UX is good. I love the templating engine so I can define a theme and reuse it as many times as needed. From the business point of view, the crew is very helpful and focused on quality customer service. One can negotiate terms and pricing. And the service level is the same after purchase is completed. The API documentation could be better. There were some topics not covered well, or missing. Hopefully, there is a community forum, where employees help to solve problems. Do not hesitate to contact eSignLive directly before purchase. They are very helpful and willing to answer questions. We've developed a custom application integrated with eSignLive which is automating the workflow with our community. Thanks to that we do not need to process any submission manually, as the electronic signature system is doing it for us. Our contributors do not need to wait for acceptance as the whole process is fully automatic. Ease of end users to be able to sign documents without the need for a printer/scanner. Branding should be built in for everyone, at least a logo upload. Also would be nice to be able to format the fields when adding to a document to same size after adding them using some size option box or copy option rather than eyeballing it and dragging them. Very easy system to implement and use. Templates feature make for super easy repetitive documents like new hire paperwork for new employees, enrollment forms, etc. Seems to be an affordable option for an electronic signing system. Sometimes folks delay because they are out of ink for their printer or don't have a scanner or fax. Its easy for the receiving person in that they don't have to print, sign, scan/send back or fax the documents. A few clicks on their end and its done. This totally eliminates all those issues! To me, what's important is the deep integration with Salesforce making it easy for me and my staff to send out proposals and legal documents. Also, knowing that we have the evidence summary should any dispute arise around a signed document is reassuring. Nothing that I can think of. We've used other e-signature products and eSignLive works extremely well for our use-case. We've been using it internally for a little under a year and don't have any complaints about it. Our proposal process was manual. This lengthened our deal cycle and didn't reflect well on us given that we're a technology company. We're seeing proposals and agreements signed much quicker and have received positive feedback from our clients on the ease-of-use. It also saves us time as we were previously manually attaching signed documents in Salesforce. Now this happens automatically for us. "East to use e-signature solution"
Delivery of the evidence summary upon completion of the package. The evidence summary along with the digitally signed document are all the pieces necessary to demonstrate proof of an agreement. The automated delivery of the evidence summary means that we don't have to go back to the vender to retrieve it if there is a dispute. Could not set up a default package role where the role has no signatures in the package but is strictly used to receive a pdf copy of the completed package. We need to have users do this manually for each package that they create. The print driver is invaluable. Set up templates for your users to use through the print driver. Get the evidence summary delivered at package completion. Some of the benefits of using e-SignLive for sending agreements to customers is that it is more convenient for the customer, and easier to complete. The agreements come back signed properly and more quickly. The completed agreements are delivered as a pdf attachment in an email and this works well with our document routing and storage process. "eSign has made my life so much easier!" eSign has worked consistently better that all of its larger competitors that I have tried. We went though 4-5 electronic signature systems before settling on eSign for our business. It is the only program that consistently worked for my clients. It is significantly easier for us to use, as well as my clients that don't always understand technology. It is also extremely mobile friendly, unlike some of the other programs we tried. We use our IPad Pro for everything, so mobile compatibility is very important to us. The main issue we have had is the customer service. About a month ago, a client was having trouble with a contract and called eSign for help. In his words, he was put on "indefinite hold" lasting over an hour. I, never having experienced that with eSign, called myself, fully expecting to prove my client wrong.... well I also got put on "indefinite hold" for an hour and then was hung up on before ever getting to talk to anyone. eSign is excellent for your more detailed contracts that require adjustments each time they are sent. We require all of our clients to sign a contract that has to be slightly customized to each client. eSign has allowed us to do that, simply and easily. It has saved us significant time being able to send contracts this way. "Great Support and Product Roadmap"
E-Sign live, most importantly, is well supported. Like any software as a service, it has limits. The representatives and documentation do not sell Utopia, but a consistent behavior from a good product. The API format is more robust than necessary, mostly due to (I guess) compatibility with older languages and frameworks. This is a mostly small issue, and certainly not even close to the worst I have seen. The forums and support staff are excellent. That is the primary value-add of continuing with the product. Signed documents are often printed, scanned, and then sent back to our managers for review. This is a completely needless and manual process. E-Sign helps us keep legal contracts within the digital domain. It's a very effective tool, extremely easy to use, and is absolutely client-friendly (even for clients who aren't as used to tech). I often find myself needing signatures on documents that shouldn't require a face-to-face with clients, eSignLive has saved me both time and money! Furthermore, no more messy documents scanned multiple times in different grades of qualities. If I had the opportunity to improve one feature with eSignLive, it would be the document management system. I wish I could sort documents into folders rather then the chronologically sorted files. I've been using eSign for close to a year, and even though this is a "dislike", it's far from being an actual problem. I've noticed that they are just now updating the interface and look forward to having the opportunity to test out the new features! Try it, it will definitely help improve your business's leverage. I save a lot of time I would normally have had to spend on the road, which is a loss of income both in driving expenses and time spent not focusing on developing my business. This is one of the best time-savings tools I have had the opportunity to add to my business. "eSign Live is pretty great!" I like that it is simple to use! Things such as enforcing signing order are easy to figure out and do. I also really appreciate that eSign live sends me an email update each time someone signs the document. I have had trouble with eSign live on SalesForce a few times and am struggling to fix it. It would be nice if there was a section of articles that explained common mistakes people are making and how to fix them. It is very helpful! I would suggest it! We send out a lot of quotes. eSign live allows us to spend little times working on quotes and more time actually selling and bringing in revenue! We are in the finance industry and security and protecting our customers information is a primary concern we have always had. In looking seriously at a viable solution for electronic signatures we found at the end of the day that eSignLive beat out all of their completion. Some of the reasons we chose eSignLive over popular companies like Doc-U-Sign was simple. Doc-U-Sign stores all of their documents from their clients and their records on servers located in the USA. The Patriot Act allows the US Government to access those docs should they feel it necessary. eSignlive on the other hand stores all of our documents on servers located in Canada and protected from the Patriot Act. We have no fear that our, or our customers information will every be violated. Need more convincing, look at the Canadian Banks and institutions that use eSignLive, this is the best electronic signature solution your company could ever use. There is nothing that we dislike about the product. The most secure in the north American market. Security. The benefits, excepetional security. "E Sign Live Product/Partner Program Review"
E Sign Live does a very nice job of positioning their product in the market. Industry verticals are clearly defined. They are very strong in banking, mortgage lending, business to consumer acceptance of terms. They can accept click to sign and various other methods of legally binding signature. They are the only e signature tool I am aware of that allows unrestricted branding of an e signature tool. If you only want your customer to experience your brand and not see E Sign anywhere in the process that easily and inexpensively done. Nothing in particular. They are a very security focused company, so getting logged in is very thorough. All aspects of electronic signature. We have focused on solutions within Salesforce first. Our initial efforts have been to present Statements of Work our client generates to their client for signature. Populating data from the Salesforce account and opportunity record is key. "eSignLive me sauve beaucoup de déplacements"
Pour un courtier immobilier, ce service est indispensable. La simplicité du service offert et le service à la clientèle sont impeccables. Les inscriptions sont simples et le tout est intuitif rapide et comment précieux! Mme Fournel est des plus productive et courtoise pour le service client. 1) La comptabilité avec Aperçu de Apple, car il arrive que nous n'apercevons pas les signatures qui sont signées avec le logiciel d'origine Apple. 2) Trouver une solution pour les fichiers d'origine de SamWeb qui se retrouve "verrouiller" lors du téléchargement sur la plate forme de eSignLive du document lors de la signature. Ceci demande de la manipulation avec des documents légaux. Bon produit, excellent service à la clientèle, et bon suivi lors de problèmes ou questionnement avec le support technique. Je sauve énormément de temps de déplacement. Mes clients apprécient vraiment par le fait qu'ils n'ont pas à s'organiser des disponibilités dans leurs horaires pour me rencontrer et signer les piles de documents et les acceptations ainsi que tous les modifications qui ne terminent plus. I like the fact that the software allows to send documents to be signed quickly over to clients. I dislike tha fact that there are delays in receiving the signed documents back. It slows up the workflow. If you are seeking the simplest way to get signatures this is a good product. If you want to send detailed contract with points for initials and other important inserts this would not be the best choice. My biggest frustration was the delay in sending newly signed documents and not being able to have multiple layers to my contract. It allows me to get clients to sign contracts without meeting them face to face. "Top rated for ease of use, great concept, and provided legitimate service for common problem. " The easy user friendly interface is the best part. I was able to pick it up from day one with a 30 second tutorial from a colleague. It puts that same ease of the recipient when they go to sign. I know I have been sent documents that needed my signature and I went through a 30 minute process to set up my digital signature. This has none of that. I had resent some documents to a student, but the second time around none of the info was stored. There were instance where history for recipient stored which pre-populated forms. Other times that history was non existing despite having sent documents to that student before. Agreement forms and contracts. I have optimized the process on both ends by uploading the document, giving reminders, checking status, and overall providing easy service for recipients. "Fantastic Support, Wide spread usage and an irresistible product "
Building the repetitive documents was made easy through eSignLive. We have some forms used regularly by our clients in which we take their signature. Before it was manual and now we made it automated. eSignLive saved time and money. Not only that but its easy to use. "ESignLive is a delicious desert, champagne that you cannot say no after using it"
The signing feature in the documents and the signing feature on mobile has impressed me. Its saving tonnes of time for me as I request my clients for each and every document they receive. The UI on mobile is just awesome. All my clients use mobile devices to read all the material I send them. The support provided has made me to stick with eSignLive at any cost. I feel the search functionality needs some improvement. Its working now but needs more filters or with single text box and minimum keywords it should grab the desired results.Also, sometimes for the lengthy signatures the mobile screen is appearing smaller.If multiple documents printing option is available then I would be happy. Most of the time I show my clients all the tools, products I use. 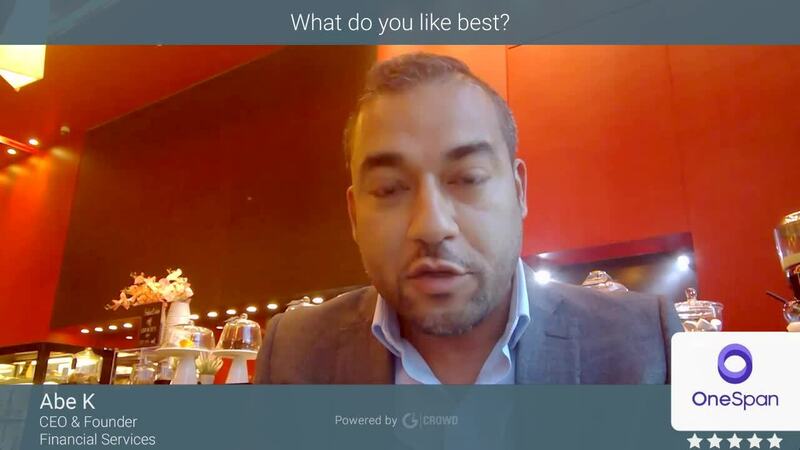 Already many times I have recommended eSignLive in social meetings, some meetings, while meeting friends. ESignLive really saved lot of time, effort, paper for me. Before I was showing some documents, ppts, demos to my clients on mobile devices. I share some confidential information with them such as Financial information. Through ESignLive I never had to worry about security. I just share them and everything will be taken care by ESignLive. "Easy to use, stable environment and excellent support"
EsignLive has made its system easy to use and navigate. we especially like the stability of the EsignLive environment as we know when problems do occur, that it is not an EsignLive issue, but rather an issue in our process. the display when logging directly into the user interface on a mobile device is rather clunky. The pages will not display in a full page format and there is a lot of scrolling that has to happen. additionally, radio buttons do not view well which has made it difficult for end users to differentiate when buttons are chosen. EsignLive is a great platform for an esignature initiative. The support we receive is great and we are able to work with and collaborate with EsignLive to implement some features that have been a great value add to our customers. With Implementing EsignLive we have been able stay current with our end users and the technology around us. we are able to close business deals faster and without human error, we have been able to drastically cut back on time and money spent with printing and scanning. Our end users are getting documents faster and love that they are able to do things without coming into the office. This company offered exactly what we were seeking for an E-signature solution. We can brand it, they do not put their brand on it, and their web site provides a plethora of information. Jamie, our account rep, is extremely knowledgeable and was very easy to deal with throughout the process. The support we have received has been very good. Since I am an IT guy and not an end user of the product, I did quite a bit of research before deciding on this company, and am very glad I did. The users are happy. I would highly recommend them. I really have not found anything I dislike yet. Compare all they offer to other vendors. Make sure you give examples of how you will use the software and they will gladly tell you how they can help. Compare costs also, while some others seemed less expensive, there were hidden costs. The ones that actually were less expensive did not have the experience and credibility of EsignLive. We are increasing efficiency and moving proposals faster through our process, which integrates to them through their API. "eSign Live works great for Intech"
The overall eSignLive experience is the best but the support we received when we needed to make a change to the main account email was the real star. The fact that you don't have access to update some account information like Owner email address. Not a big deal because Amanbeet at support got us working. The ability to get documents signed quickly and safely has been a huge benefit for Intech. The program is easy to use on cells phones, tablets or computers. Provides an easy way for my clients to sign their insurance applications. If I have to dislike anything about it ...it would be cost. But not because I think it's not worth the value. But, because it's hard for a newer company to afford. My clients are from all different walks of life... from doctors to school bus drivers, contractors, labors. All have been able to use esignlive without asking what to do. Now that is impressive. My customers have the convenience of signing their documents where they are, when they want, and at their convenience. The ease of use. That I don't have take extra time and have multiple steps just to electronically sign something. truly makes it more convenient for our clients to not have to come in to the office and sign documents. It is extremely helpful for our CME process as well because these are often captured from people who are not local. Honestly I haven't experienced any issues in my experience with it for what we are using it for. Make sure to test it out before esigning for the first time. We did not have an easy way of electronically capturing signatures and had to wait a long time to obtain them sometimes. eSign Live makes getting e-signatures very easy. I can upload a pdf, add signature fields, and get them off. Reduces the amount of paper I have to handle in the office. Customer service is rough- I had to call the office 5 times and wait 3 days to get my trial switched over to a subscription. Awesome product, works seamlessly. Customer service can be hard to get in contact with. If you need software that allows one user to send out items for signatures to multiple people, this is it! The amount of time required to get documents to all my employees and then track them for signatures. This software allows me to do this all at once, no waiting till crews get back in, etc. I can track who has signed in one central location. "Seamless integration of eSignLive with our controlled substances ordering website"
API well documented, dedicated sandbox for developers, great technical support, easy to use customer interface. They also provide a cloud instance hosted in Canada. But they could provide an admin dashboard to see how many digital signatures we created and how many are left based on our contract terms. You can trust this provider for their highly secure, easy to implement and easy to use solution. The team behind eSignLive is really great. We streamlined the signature process for the acknowledgment of receipt of controlled substances, a process previously involving manual signature by the customers and a shipment by snail mail. "We're using eSignLive to make it easier for our clients to do business with us." The workflow is fairly straightforward and instructions are easy to follow both for us as senders and for our clients as well. eSignLive is not currently integrated with our insurance brokerage management system (The Brokers Workstation from Custom Software Solutions Inc). Although we can use the 'send to eSignLive printer' to put any documents into the signing software, it will be wonderful once the full integration is completed. We selected eSignLive based on the initial recommendation of the Insurance Brokers Association of Ontario. So far, it seems to be very suitable for our needs. We're greatly improving the delays and inconvenience of getting insurance documents signed. Sending an e-mail to our clients that allows them to simply click on a signature box and return the completed document to us without having to print or scan it is a tremendous step forward. Support and assistance in configuring the eSign Ap with SFDC was top notch and provided quickly. The eSignLive SDK with SalesForce implemented perfectly. In addition, eSignLive provides multiple methods for authentication and signing process through configuration. This feature allowed us to tailor process and authentication to the clients specific need. Our implementation of eSign Live has met all user requirements and we have no complaints. Excellent solution for SFDC customers who wish to incorporate e-signature into their suite. The API worked seamlessly with our SFDC implementation, providing excellent information regarding the status of the signing. Digitizing manual financial service forms and integrating the signing process into SalesForce for review, reporting and follow-up. Especially with multiple signers, we can track the progress of each in SalesForce and provide the SalesForce user with notifications on completion of the signing process. 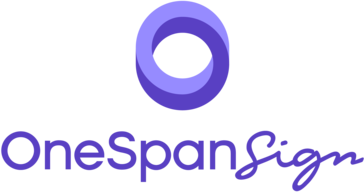 "OneSpan - a Great Option for E-Signature"
I have a monthly call with OneSpan. They want to know if things are going well, which is impressive. I can't say there is really anything that I dislike, since they perform as expected. I would take into consideration the fact that OneSpan does not push their branding on the user's customers as some competing products do. The first reason we signed up with OneSpan was to be compliant with regulations governing e-signature. We're additionally using it to open checking accounts on mobile devices, e-sign stop payment requests, and execute certain loan documents. "We are a partner that is implementing integrated e-signature into financial services orgs"
The best thing about eSignLive is the ability to "white label" the solution. Our clients are focused on leveraging their brand during the signing ceremonies. The ability to have the emails and websites coming from the Bank's site rather than a 3rd party takes full advantage of this reputation. The lack of a vendor managed Private Cloud. Most financial institutions are very concerned about critical customer information in a public cloud. Fortunately, eSignLive does have relationships in FedRAMP for government and IBM for commercial organizations to provide this service. Our main business problems are (a) onboarding clients and (b) collecting documents during those process. especially in the commercial space, the signatories are often in different locations. Requiring both physical representation of signatures (i.e. signature cards) and contract signing takes days in the email/paper world. We are seeing significant reductions in turn time and compliance by leveraging eSignLive. "eSignLive has made my admin life much easier"
eSign was able to take several of my time-consuming tasks and streamlined it as well as make it look much more professional to our internal and external customers. It is mobile friendly for my executive team to use on the go. The one main thing I have trouble with is our package does not allow me to delete signers who have left our company and clean up my saved layouts and signers. eSign is excellent for your excellent for your one-page easy page contracts or the more detailed multiply page. It is a great product and the service you get from support is wonderful. We needed an environmentally friendly way to get our contracts signed and processed and eSigned was a perfect match. We looked at 4 different processes and found the eSignLive was the best product for our needs and company. "Time saver with professional and customized signing options"
Software is user friendly and laid out in an easy to user interface. I am able to see where documents are in the signing process and easily send follow-up reminders if a document is still waiting on signatures. We often need to notify non-signers that a document has been signed for their records, and esignLive easily allows for this. I also enjoy the capability to add text fields for additional comments and can have options on whether these additional fields are required or optional. Esign allows me to customize the signing process for any document, while also saving signing templates for frequent usage approvals. This may already be an option, but I would be nice to have the annual account renewals billed to our company instead of having to use a credit card. No matter what kind of document, how many signatures, or a specific signing order, this software has the tools we have needed to customize and simplify the signing process. The biggest problem solved is time...I now have time to focus on my role in the company instead of constantly following up on where a document is at in the signing process. This has also saved shipping costs we use to incur from having documents shipped all over the world for signatures. Our company operates globally and esignLive has allowed us to quickly sign documents from any location in the world. This is especially useful when documents are urgent. eSignLive has an intuitive user interface which allows me to send any type of document for signing in a matter of seconds. Customer experience is great. Templates are easy to use. Document security and legal protection is the best in comparison to any of their competitors. I just converted to the new user interface so at this time there isn't anything I dislike. It's new and improved. Get help from their support and sales. Attend weekly demo's. I am able to have important documents back faster ultimately providing better service for our customers. Most of all, I am saving myself and our entire organization time and money by automating the signing process through eSignLive. I truly like the esign live experience for both the sender/recipient. I find it highly efficient as the format is simple, the step-by-step directions/layout of the pages are very user friendly and quite simple and easy to use. The software is not intimidating and I have received great feedback from my clients. The thing I like most about Esign Live is that it is almost, if not in real-time. My clients receive their e-sign packet almost instantly and turn-around time for my documents is terrific. I also would like to mention and thank the support team as they are terrific. Great customer support, very knowledgeable, expedient/efficient . Follow-ups from the support team was quite impressive-I would not hesitate to recommend eSign live to anyone! I do not have much of a comment here in this section, I have always had a positive experience. I highly recommend eSign Live and would urge people to give it a try. They will not only be happy with its ease-of-use/efficiency but will be highly impressed with product support! E-signed has not only allowed my business to run more efficiently, but has saved me more time than I had imagined. These man-hours gained/saved have not only allowed for growth but has increased the quality of my business as well as on the personal side. You have to love Technology!.Thank you eSign! "Product is very easy to use"
I like that my client will be able to sign a contract from any device if they are out of the office. Nothing so far. The system is easy for me to use and a breeze for my clients. I looked at reviews/comparisons to other providers. e-SignLive had great reviews for the product and customer service. Sending contracts to clients. It is important to get the clients signature on the contract so my team can begin the project. eSignLive lets customers sign my contract where ever they are. * We monitor all OneSpan Sign reviews to prevent fraudulent reviews and keep review quality high. We do not post reviews by company employees or direct competitors. Validated reviews require the user to submit a screenshot of the product containing their user ID, in order to verify a user is an actual user of the product. Hi there! Are you looking to implement a solution like OneSpan Sign?